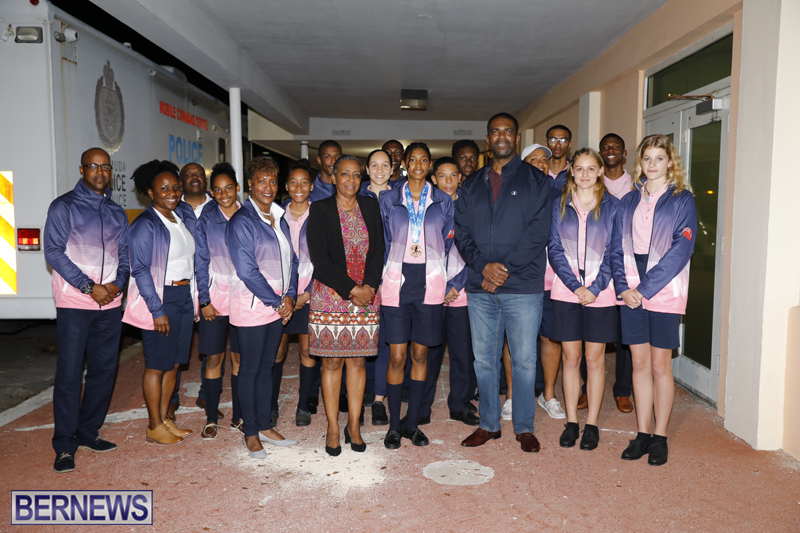 Members of the Bermuda CARIFTA track & field team arrived back in Bermuda this evening [April 3] with Minister of Social Development & Sports Michael Weeks and Minister of the Cabinet Office with Responsibility for Government Reform Lovitta Foggo on hand to congratulate the team on their performance. 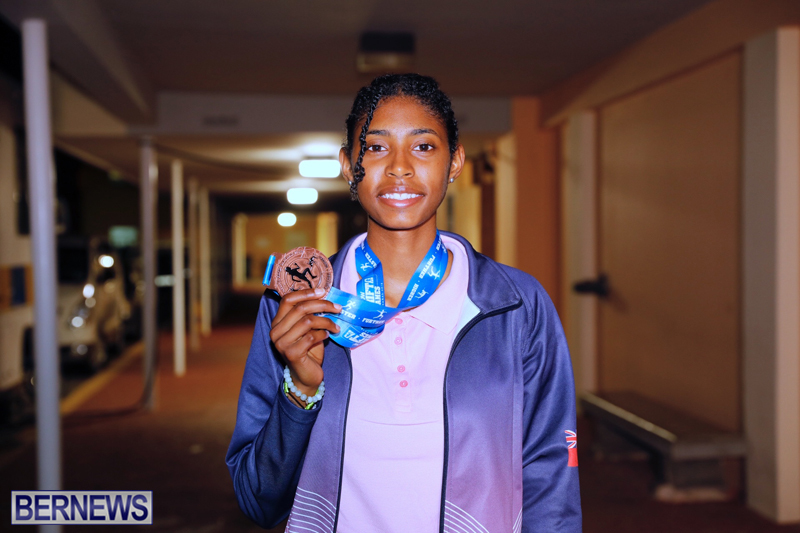 Team captain and high jumper Sakari Famous claimed a bronze medal in the Bahamas after finishing third in the Under 20 Girls High Jump with a top leap of 1.79m. The team included Jessie Marshall, Taylor Hines, Tilly Norman, Amelia Othman, Sakari Famous, Ashley Irby, Isabelle Dutranoit, Clevonte Lodge, Ryan Outerbridge, Nirobi Mills, Elisha Darrell, Johndell Cumberbatch, Robert Edwards and Deneo Brangman.